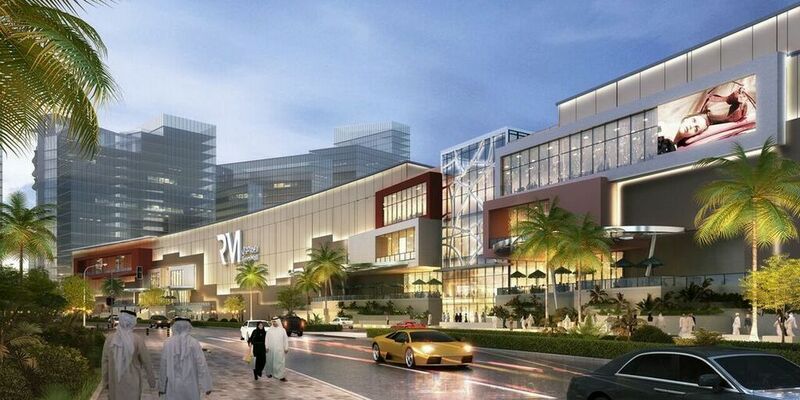 Al Farwaniya Property Developments has recently shared the tenant line-up for its super-regional Reem Mall project in Abu Dhabi – one of the largest retail property developments underway in the UAE today. The project will deliver 270,000 sq m of retail, leisure, dining, entertainment, and public space. Comprised of around 450 stores from local and international brands, 100 of which will be Food and Beverage outlets, as well as a range of family-oriented entertainment and edutainment anchors, Reem Mall will be a landmark addition to Abu Dhabi’s host of family leisure attractions. The tenant line-up is confirmed as having a sustainable balance of local, regional, and internationally recognized brands. 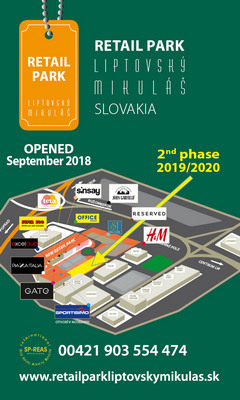 Visitors will be welcomed to a retail experience with household names, including Virgin Megastore, Home Centre, Centrepoint, Stradivarius, Adidas, Ecco, Steve Madden, Bershka, Eataly, Paul, plus many other nationally and regionally established names. Positioned on Reem Island – right in the heart of new Abu Dhabi – the mall will offer easy access to the most densely populated areas of the city, along with ample parking featuring 6,800 vehicle spaces. The AED 4 billion project (circa EUR 1 billion) is being developed by Al Farwaniya Property Developments LLC. Having started the main construction work towards the end of 2017, the development is progressing smoothly. The foundation of the mall was set earlier this year, and more than 200,000 m³ of reinforced concrete has been cast in place. Completion is scheduled for the end of 2020. 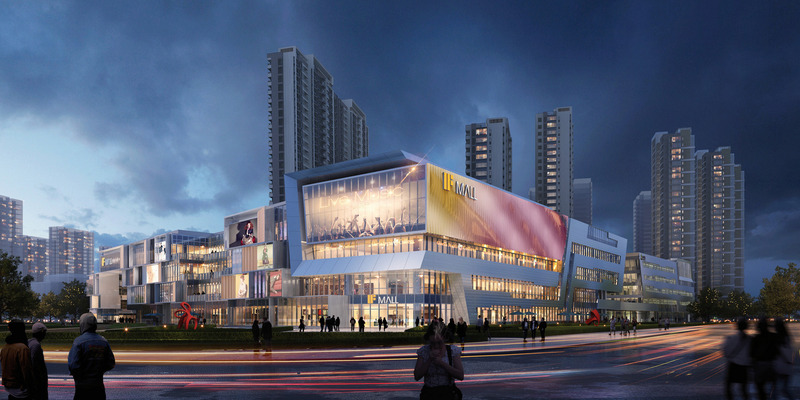 Benoy has announced its second project with Hong Kong China Travel Service (HKCTS) – Ningbo If Mall, a future community-focused retail and commercial destination. The development is situated in the Jiangbei district of Ningbo on a plot bordered by the well-known Changxing Road, Hongtu Road, and West North Ring Road. Positioned as a premium community retail and business center, If Mall will be a showcase space for international and local brands and will also offer commercial and leisure environments. The design is comprised of three major blocks covering an approximate GFA of 46,000 sq m. The planning regulations required strong interfacing with the surrounding urban areas. Benoy’s approach, therefore, resulted in an L-shaped layout, with a continuous green, urban space woven throughout. The masterplan has ensured that the retail frontage gains exposure along the well-developed Hongtu and Changxing Roads, while the commercial business zone interfaces with the green urban park on the west side of the plot. To ensure continuity throughout the design, the facades of the buildings display a unique linear form, referencing Ningbo’s identity as a coastal city. As part of its extensive offerings, If Mall will include a sports club, retail, a supermarket, a cinema, a children’s entertainment and education area, as well as a commercial business center. The community-focused project also interfaces with a neighboring residential scheme, which is also owned and developed by HKCTS. The shopping center is currently in the advanced stage of architectural design, with preliminary site works already under way. Macerich and Simon have announced the formation of a 50/50 joint venture to create Los Angeles Premium Outlets. The two companies will co-develop and jointly lease Los Angeles’ newest outlet, designed to open with 37,000 sq m, followed by an additional 15,000 sq m in its second phase. 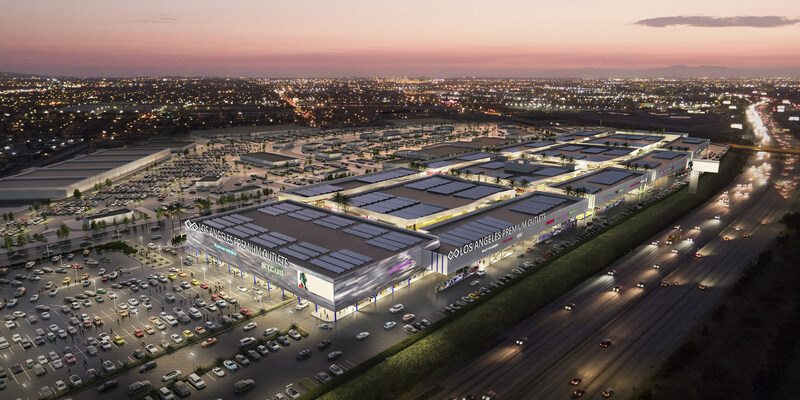 Los Angeles Premium Outlets will be located in Carson in LA County and will take advantage of its positioning west of the I-5 corridor and south of the I-10 Highway. Site work for the elevated shopping destination, with parking below, is expected to begin immediately, with an opening planned for fall 2021. Destined to attract the most affluent local residents and international tourists, Los Angeles Premium Outlets will boast 2,500 lineal feet of frontage on the high-traffic I-405 Highway, with 300,000 cars passing by each day. An additional 215,000 cars will pass the site via the I-110 Highway on a daily basis. The project will also benefit from the region’s high density of 2.5 million residents within a 10-mile radius and its location just 11 miles from LAX, the nation’s second-busiest airport, serving 81 million passengers annually. 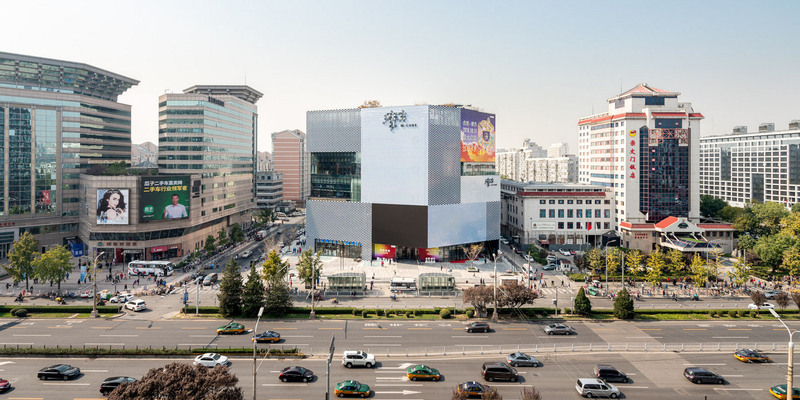 The construction of the KWG M Cube, a 40,000-square-meter shopping center designed by MVRDV, has recently been completed. Located just within Beijing’s innermost ring road, it is located next to the Beijing Railway Station and near both the Temple of Heaven to the southwest and Tiananmen and the Forbidden City to the northwest. Given this prime location and the consequent value of the land, the building stands out from its mostly beige and grey neighbors, while also packing a large amount of space into a relatively small footprint. MVRDV was commissioned to design the building’s exterior and responded to these competing hopes with a 7-storey volume that rises to the maximum allowed height of 36 meters — an unusually tall building for this kind of mall. The shape of the building was generated by cutting the volume at various angles to orient the facades to face key locations, such as the railway station and an intersection on the other side of the street, generating a shape that is both contextual and recognizable in its visual presence. It also allowed for the inclusion of open-air terraces on each level, which are symbolically oriented towards landmarks, such as the Forbidden City and the Temple of Heaven — some visible from the building, others more distant — to root the building in its location. The shopping center is wrapped in a pearlescent ceramic facade that, at different times, appears either grey or colorful, creating a subtle facade that does not need large LED screens to stand out and catch the attention of the passers-by.